The financial year ends this month for many New Zealand businesses, so it’s a time of wrapping up loose ends and resetting goals. Currently we’re reflecting on how Avatar’s been operating since 1998. Wow, 16 years sure flies by! The Internet industry has provided an incredible ride and year on year it has become an integral facet of many business operations. This month we talk about developing an ongoing web marketing plan, and have an assortment of tidbits, an interesting statistic, four new sites and a cartoon. Site Structure. Just like when building a brick and mortar business you make sure to put proper structures in place so the building doesn’t fall down, ensuring your site’s technical setup is correct and having content that is well-written, informative and relevant to the subject means that it gains the most impact. 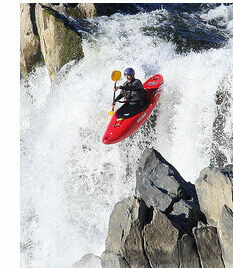 Have clear and consistent navigation, page titles, headings and links. Great Content. How can you stand out from your competitors? What’s your unique selling proposition? It’s usually not that difficult to think of some interesting angle or hook that gets people interested and helps you stand out from the pack. Create Buyer Personas. Get clarity around who your ideal customer is to help you visualise who you need to be talking to, what you need to be saying, and where you need to be talking to them. Are you a B2C business? That will influence the communication platforms that you can use to reach your audience on an ongoing basis, likewise if you are B2B, this will be a different buyer persona and a different group of options that need to be thought about. Make Personal Connections. Create relevant social media profiles and use them as appropriate – there are so many options now for telling the world who you are and what you do. It’s not just about “brand X”, it’s about making a personal connection. This is one of the most relevant points about modern web marketing campaigns – it is about you the person first, and the company second. Think about it – you do business for most of your day to day needs with people you know and trust. The online environment is no different. Place your credentials and skills online in relevant platforms and communities, take part in discussion and add to the increasing knowledge base. The more you contribute, the more you build your “trust rank”. Targeted Marketing. There have never been so many promotion options available for quickly reaching your intended audience, and depending on your budget and your industry, these range from ridiculously cheap to eye-wateringly expensive. Options include platforms like Google AdWords, (text, banner, and video ads), BingAds (Microsoft’s equivalent to AdWords), Facebook Advertising, promoted Tweets on Twitter, LinkedIn promotions and more. Want to advertise to women aged between 35 – 55 who live in New Zealand, drink coffee, eat curry, have a family, love watching TV, and have a birthday in a week? You can! To conclude, running one–off campaigns can have a quick benefit to a business, such as creating a flyer and box dropping the area around your shop to tell everyone about a sale you are running. But if you want to establish a web presence that generates an enduring and growing value for your business, you need to commit to an ongoing web marketing plan. Avatar works with a wide variety of web marketing clients on monthly a basis, so we’re a little biased on this approach since we’ve seen the tremendous results it can achieve. Contact us if you want to talk about what’s possible. 97.25% Accuracy – Software designed by Facebook to pick faces out of a crowd of people has reached a staggering 97.25% level of accuracy. This is achieved by having found a way to create a 3D model from a flat photograph, which can then be compared against others created in the same way to match faces at different angles. Like most algorithms it needs data to be able to do this, but the longer it does so the more complex and wider its abilities will become. Rubiks Record Smash. A robot constructed out of Lego has broken the world record for solving a Rubik’s cube puzzle, completing it in just 3.25 seconds. Unsubscribe Me. Google’s Gmail service is going to make it much easier to unsubscribe from pesky marketing emails. Big Storage, Tiny Card. Sandisk has released the first ever 128GB microSD card, giving added functionality to photographers, video makers and even ordinary smartphone users. Encrypted Search. Google has always pushed back against government surveillance, and is taking this to the next level by encrypting user searches. Wiki This. These three free extensions give Wikipedia a boost of function and convenience in Google Chrome. New .kiwi Domains. A new New Zealand-exclusive domain option is worth considering if you’re looking for a new domain or want to protect your online brand. 50 Unbelievable Facts About Earth. A tardigrade can live in vacuum for 10 days! Large dinosaurs could only exist because there was more oxygen in the atmosphere during their era. The Antarctic has as much as ice as the Atlantic Ocean has water. 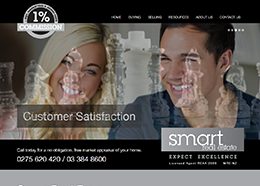 Real estate agents based in Christchurch, offering a 1% commission rate. 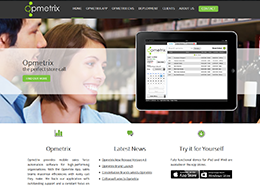 The Opmetrix application is designed to maximise gains for mobile sales forces in a range of businesses. 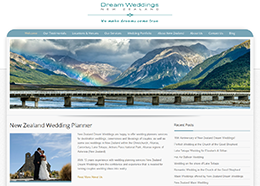 The perfect wedding experience, tailored to New Zealand’s stunning scenery and locations. 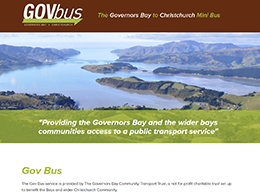 A proposed bus that would link the outlying Govenor’s Bay with the heart of Christchurch city.